And Jessi goes with the one-upmanship by killing two squares with one book! Check our Literary Bingo progress here. The cover is cute, isn’t it? Much to my shame, I had to ask for directions to the poetry section. Not one would confuse her with a Rhymeslayer. I don’t know what I was expecting from the poetry section at the bookstore, but I guess I thought it would be…bigger. I mean, one shelf? Did she go for a book with meat? Vanity can be paid for with cash. The title and cover drew my eye, and something about the font choice for the poems made the whole thing especially adorable. Oh, and guys, there are illustrations! But the thing that made me say, “Yes, book, you’re it for me. You’re the one,” was the supreme waste of paper. Each poem gets its own page. Can’t words learn to share their space? Bah, no tree will have died in vain! My take on poetry is that it’s best read aloud. One should never be afraid or embarrassed to adopt a pseudo British accent…you know, unless you’re actually British. Oh, but my psuedo British accent is terrible, Jessi! Have you seen Keanu Reeves in Dracula? (If you haven’t, open a new tab in your browser and look up a YouTube clip now. I’ll wait.) You can certainly do no worse. Love & Misadventure is divided into three parts: Misadventure, The Circus of Sorrows, and Love. Because Leav’s writing style is so simplistic and all of the poems are short, this makes for a quick and easy read. By quick and easy, I mean I read the first section even before finishing my Pop-Tarts (s’mores, by the way–like there’s another choice). I realize that I have associated poetry with mind-numbing brain implosion. Poetry equals words, lots of words. That’s why I love it. I absolutely adore not having any understanding of what I’m reading. However, sitting here writing this has given me a change of heart. Poetry doesn’t have to be challenging or flowery. This collection of poems was neither of those things (AND my brain didn’t implode and leak out my ears), but it still provoked emotion. I liked it, darn it. It’s stinking cute. 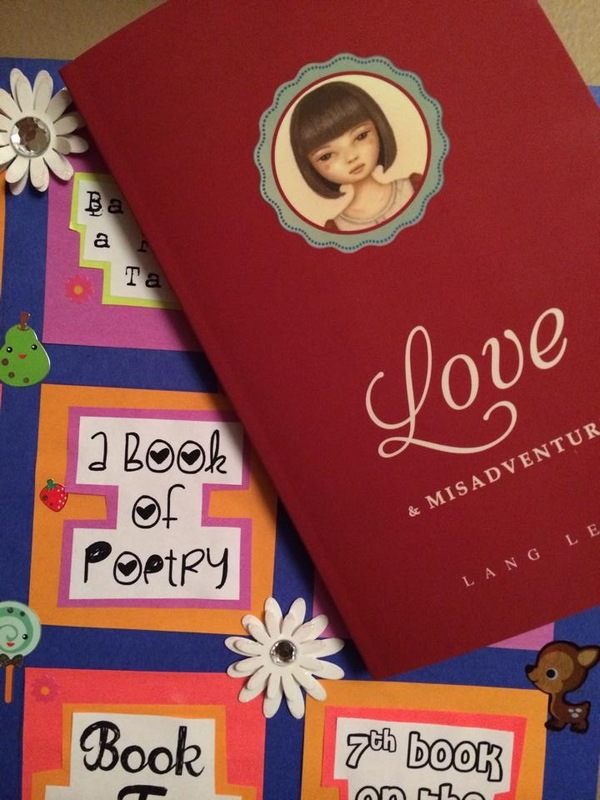 As an added bonus, through Leav’s website, langleav.com, you can send your favorite poem to your friends, family, enemies, and cats (that is to say anyone). “All poems are printed on heavyweight, parchment paper and encased in a beautiful string tie envelope.” I’m sure it’s lovely, but there is no picture. Booo. All this can be yours for $25. Is better than adding integral food to your girth.